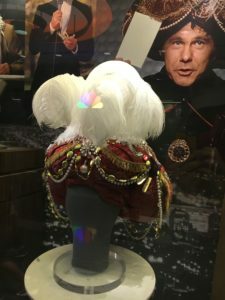 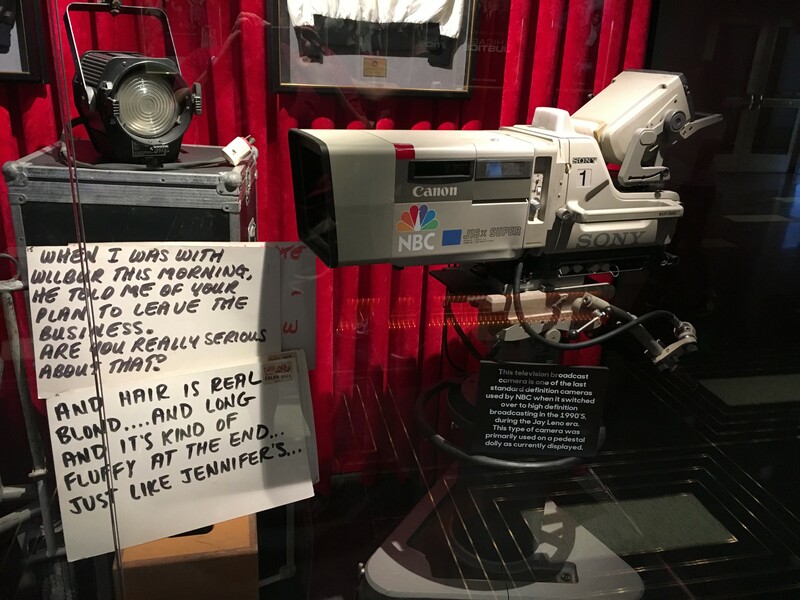 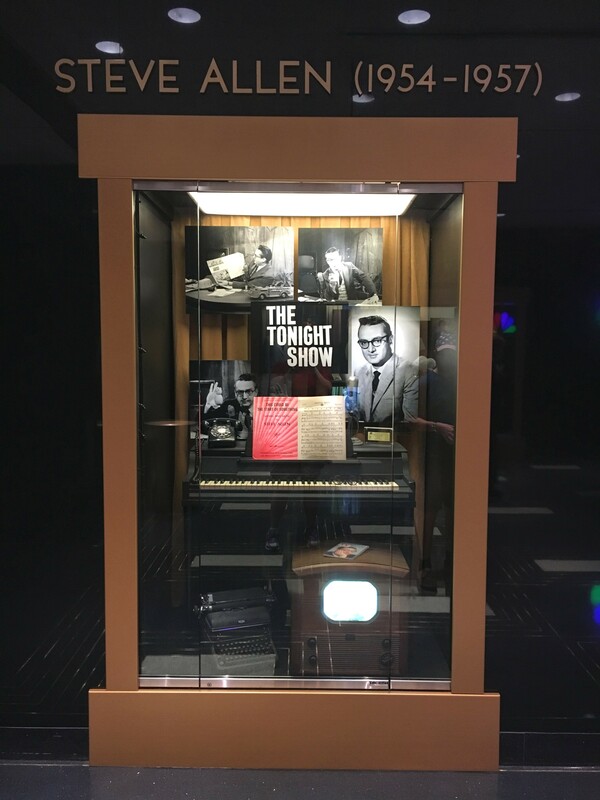 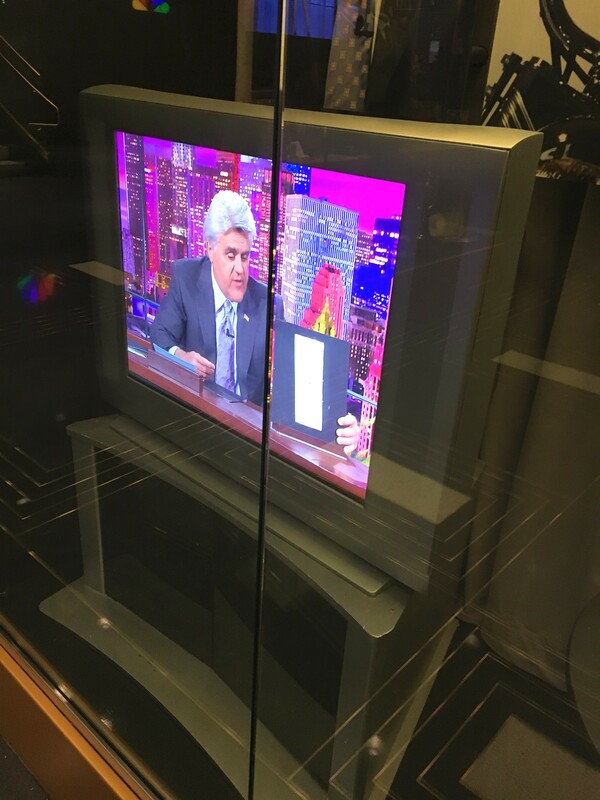 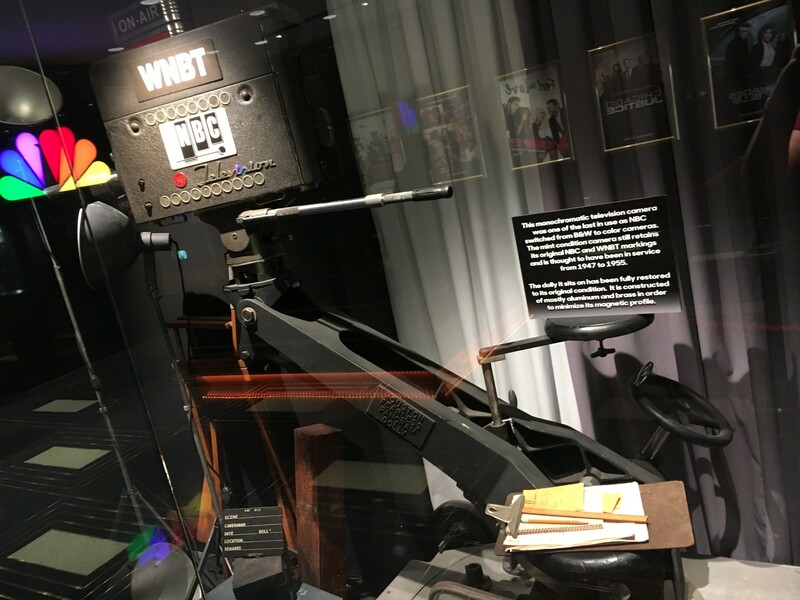 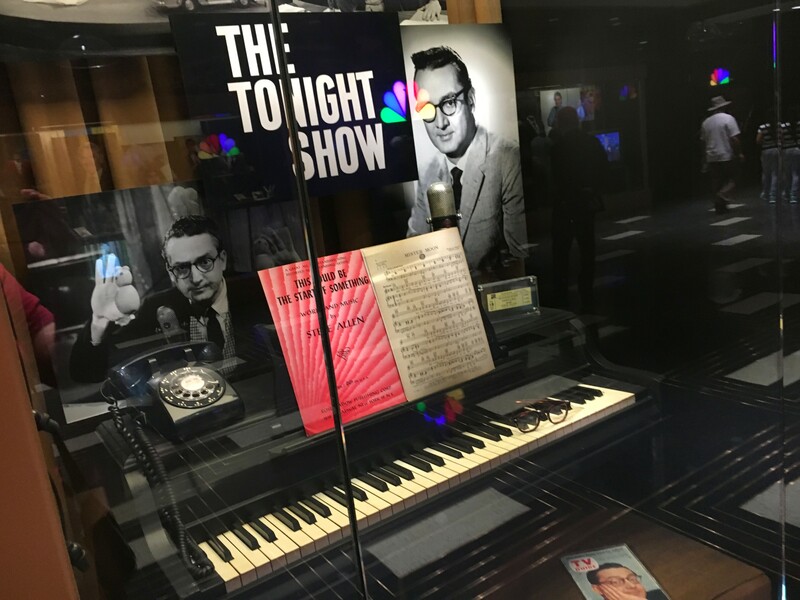 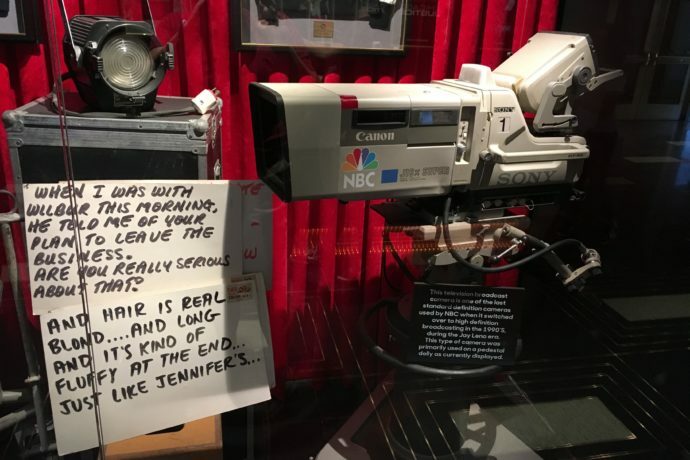 With Race Through New York officially grand opening this week I thought we’d take a closer look around The Tonight Show museum exhibits from the virtual queue. We’ve already covered the entire Fallon ride experience in our previous post all about the soft opening last month, but we only barely scratched the surface on all the cool things there are to look at in the queue. 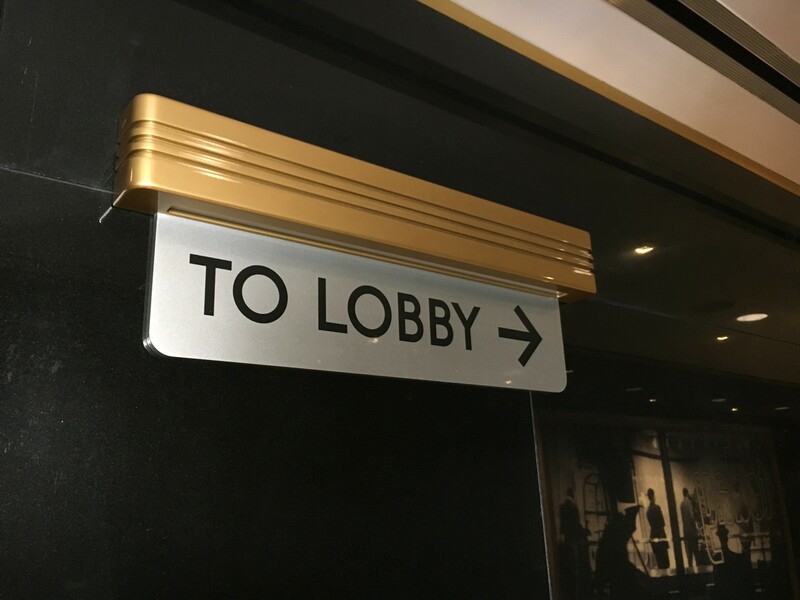 When you first enter the building you’re directed down a long hallway. 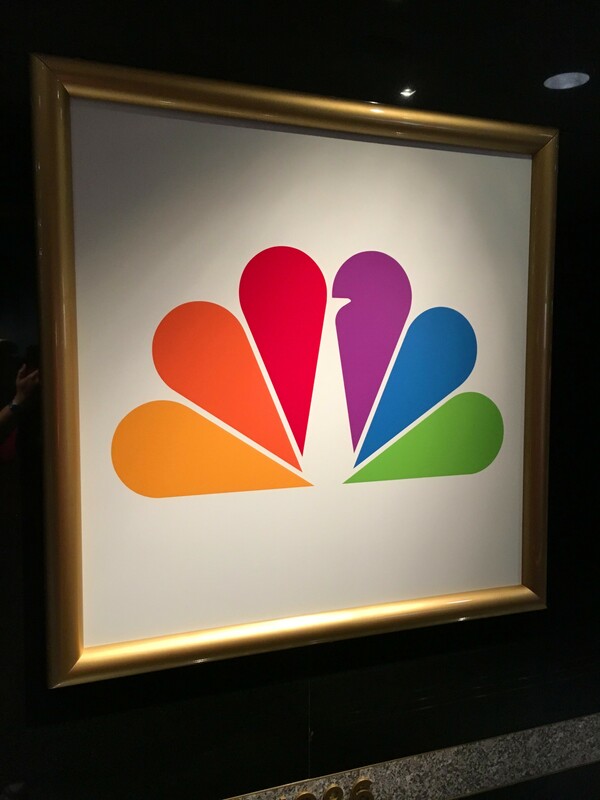 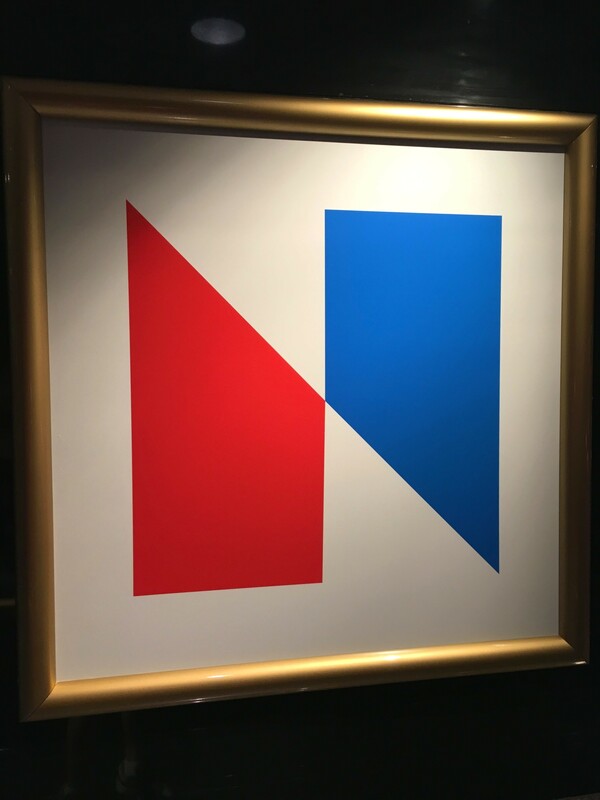 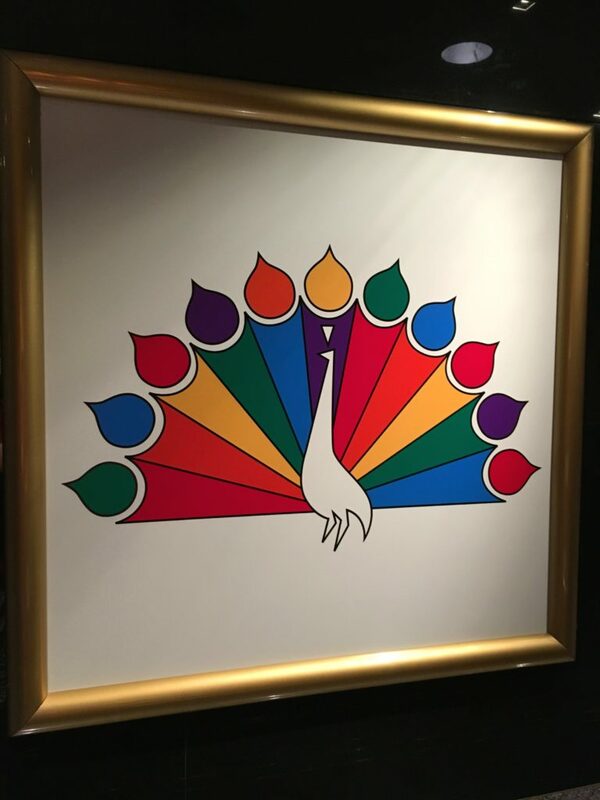 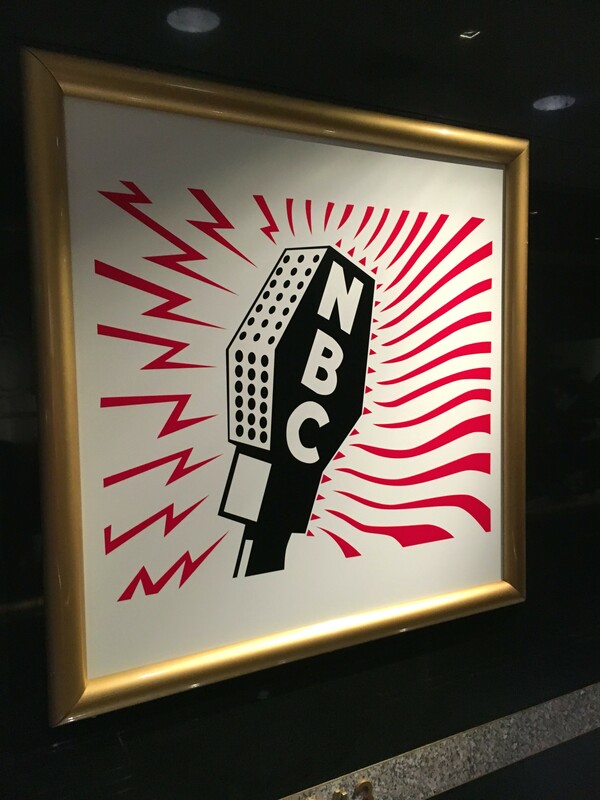 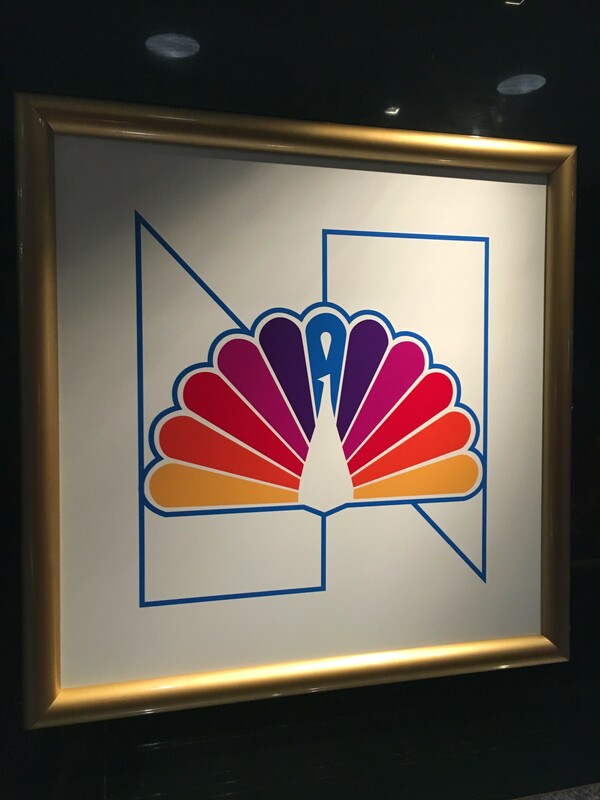 On the left side of the hall are all of the NBC logos through the years, in order, starting with their radio microphone logo and ending with the familiar peacock. 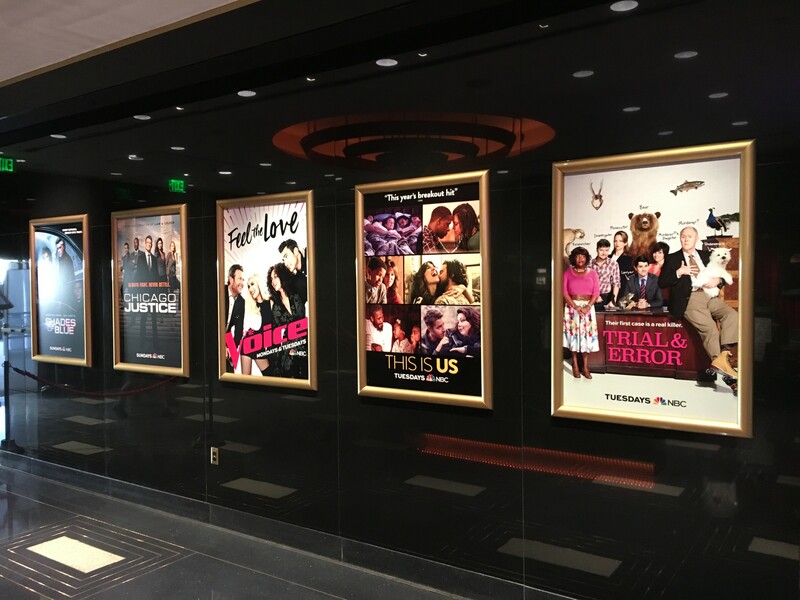 Along the right side of the hall are large posters for television programs that got their start around the same time as the logos opposite them. 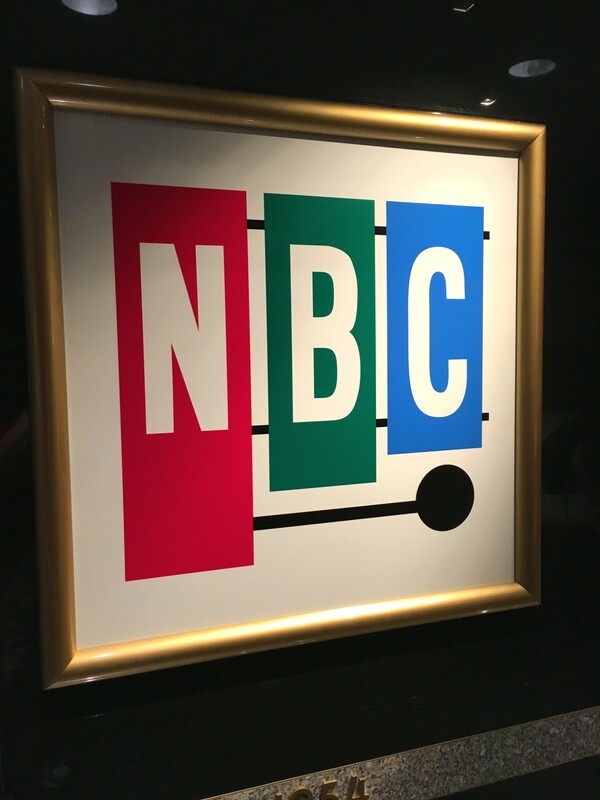 It’s a great way to introduce us to the NBC universe, starting at the very beginning. 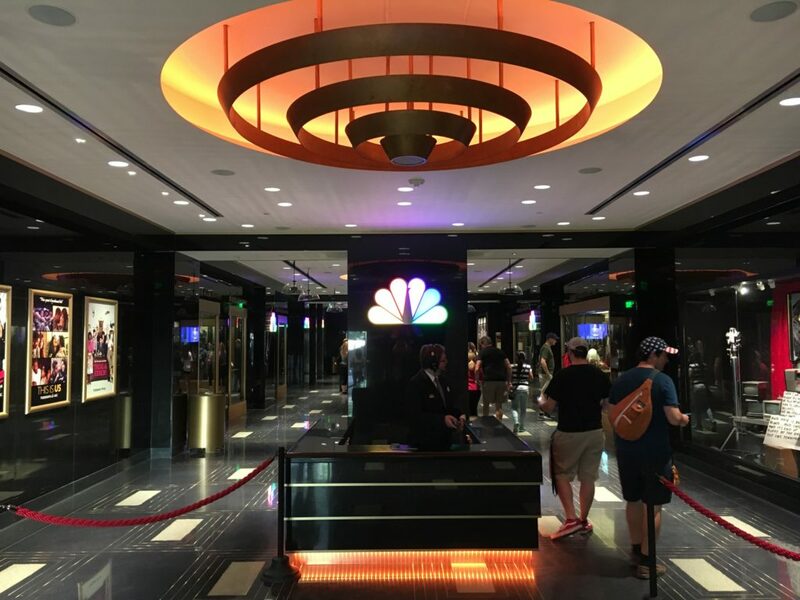 After the hallway, we enter the 30 Rock Lobby. 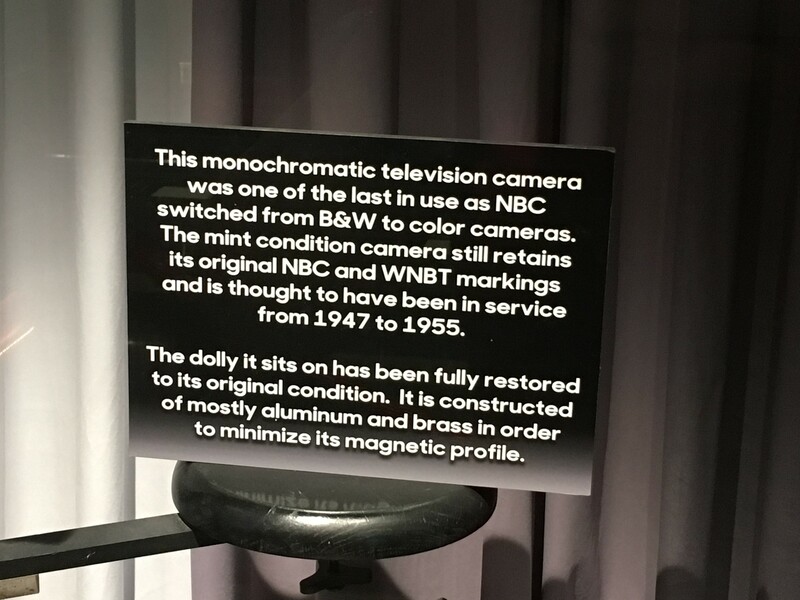 Here is where we pick up our color-coded ticket for the attraction. 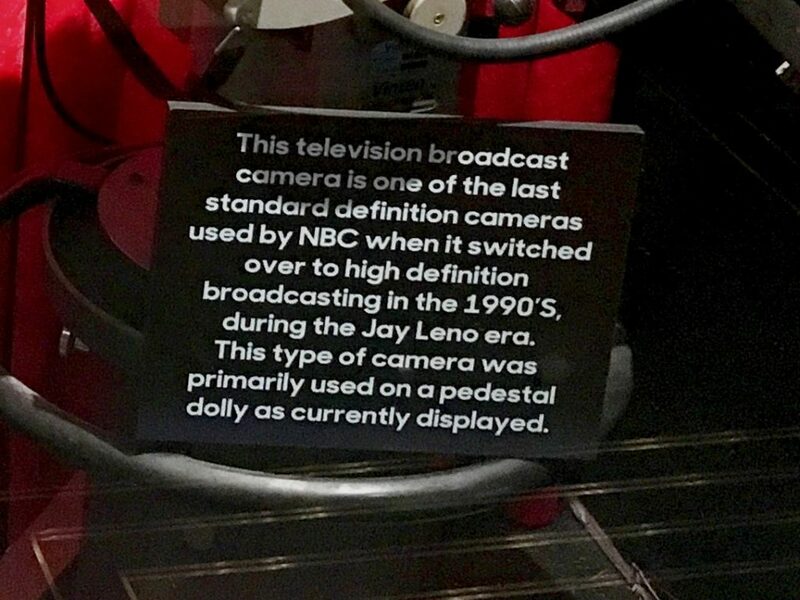 Most people zoom right pass this portion, but there’s some interesting pieces in here, like real equipment that was actually used to shoot The Tonight Show, including one of the last black and white cameras before the switch to color in the 1050s, and one of the last standard definition cameras before switching to high-def in the 1990s. 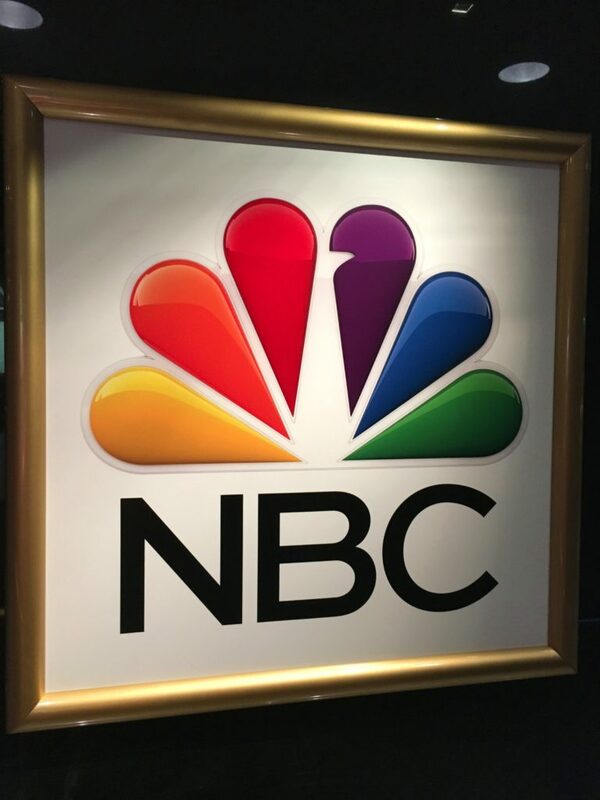 There’s also posters for some of the current programming you can find on NBC, and it’s evident they’ll be updating these as time goes on. 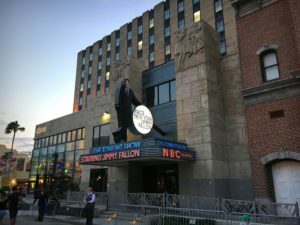 A poster for NBC’s newest comedy “Trial & Error” starring John Lithgow has already gone up since the attraction soft opened last month! 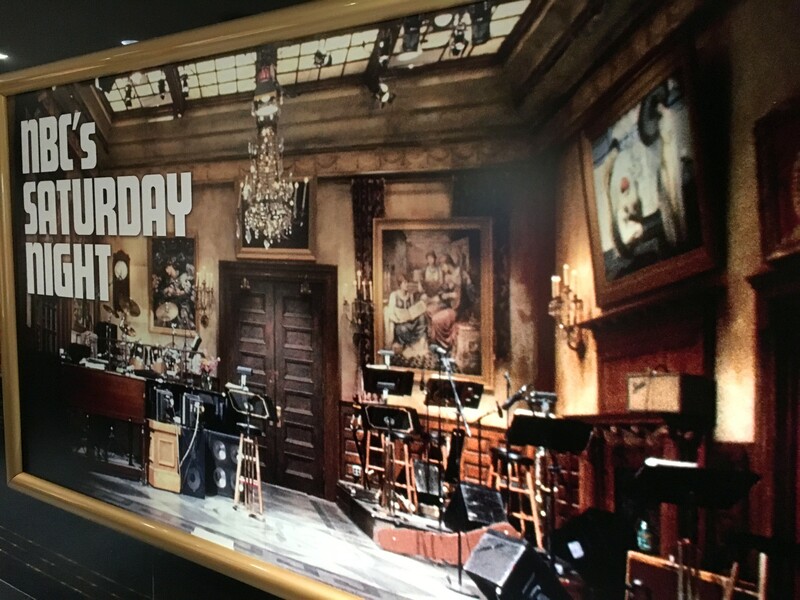 The next room is where we’ll be focusing most on today, (the last room downstairs, before moving upstairs to the Studio 6B Lounge.) 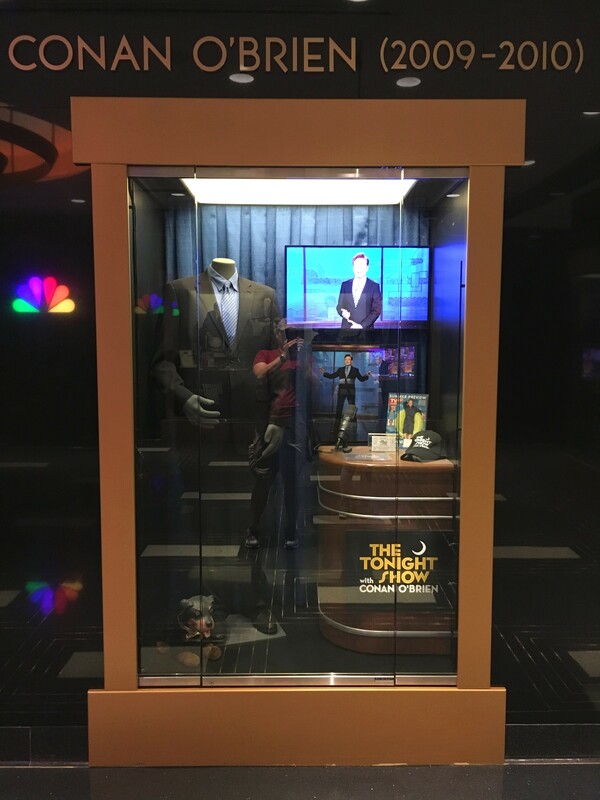 This room houses a collection of exhibits behind glass celebrating all six hosts of The Tonight Show. 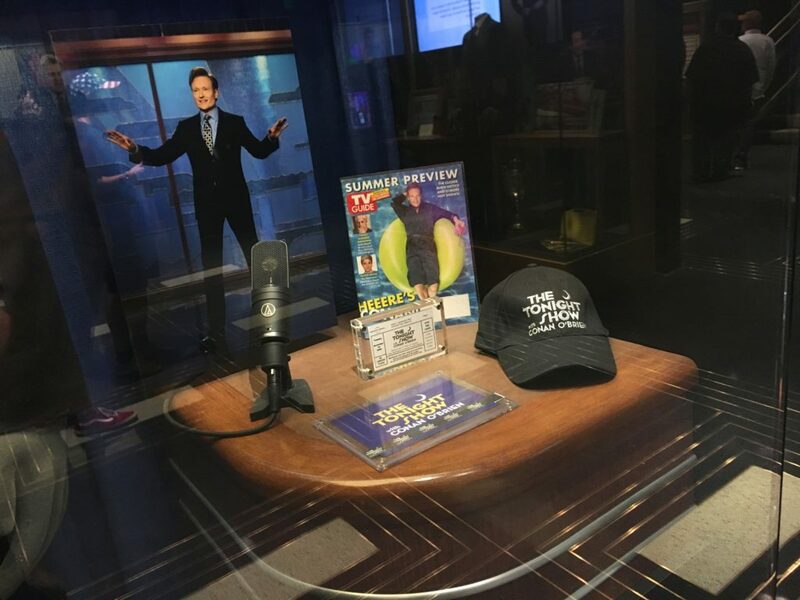 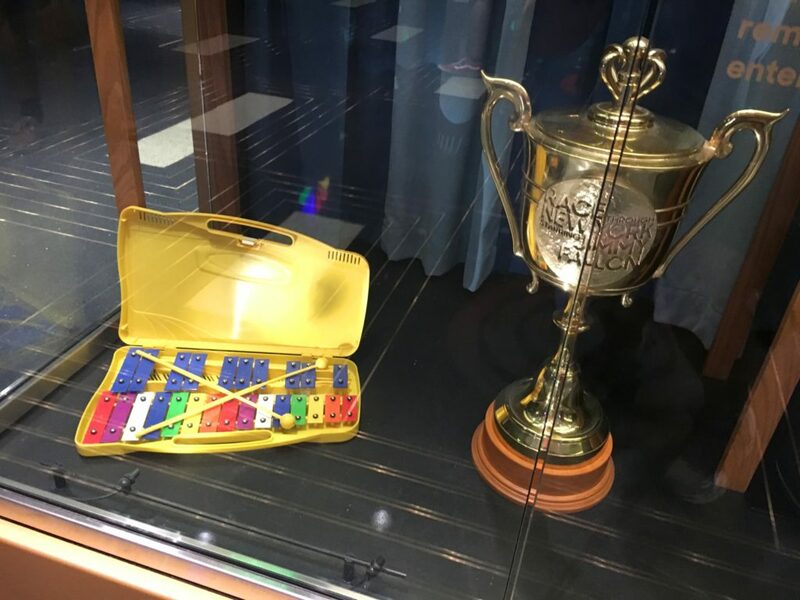 Every host has their own display case, each with their own memorabilia. 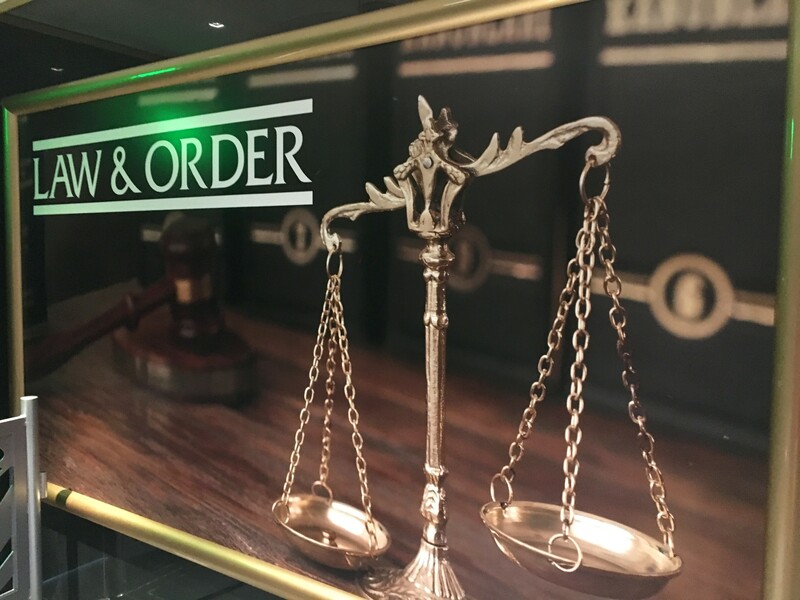 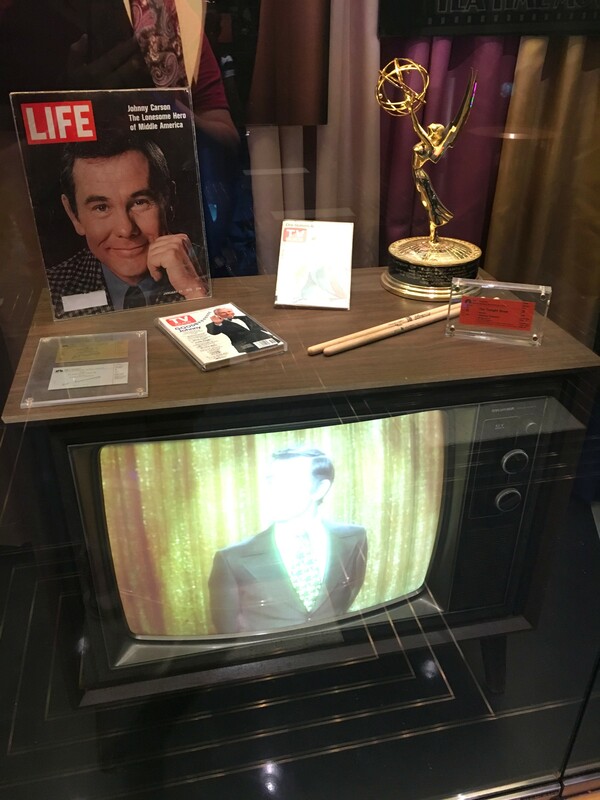 There are magazine covers, Emmys, a small reproduction of their desk, and a TV that’s appropriate for their era playing clips from their episodes. 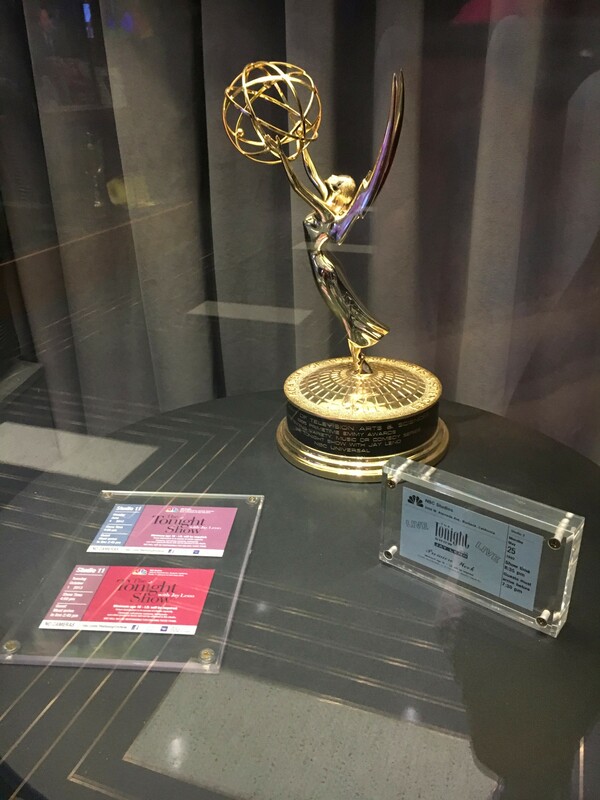 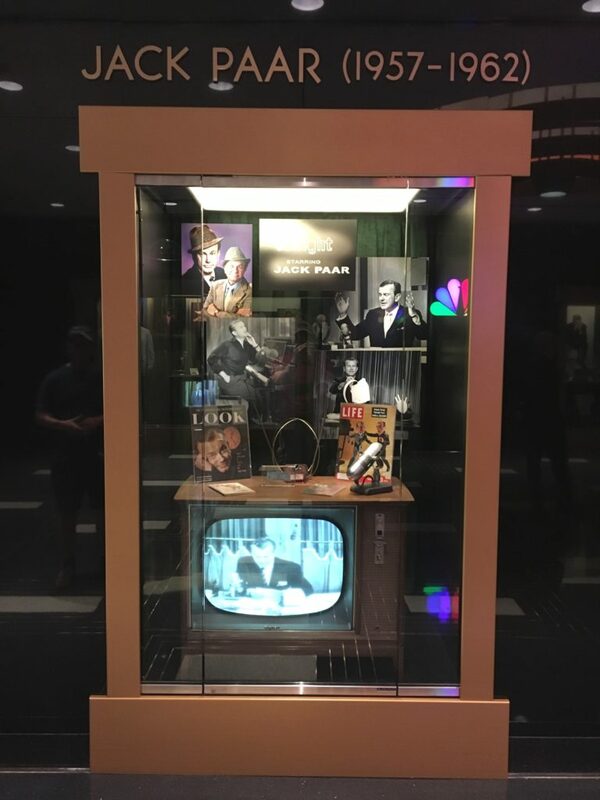 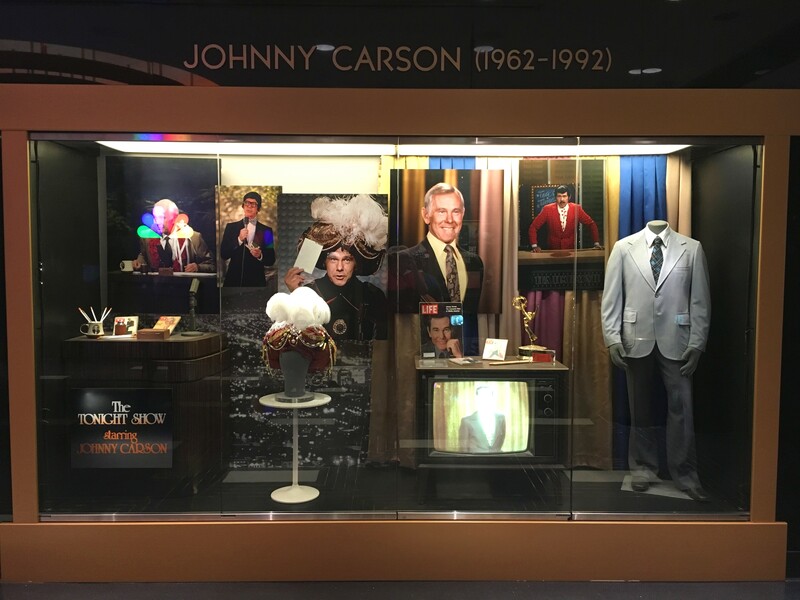 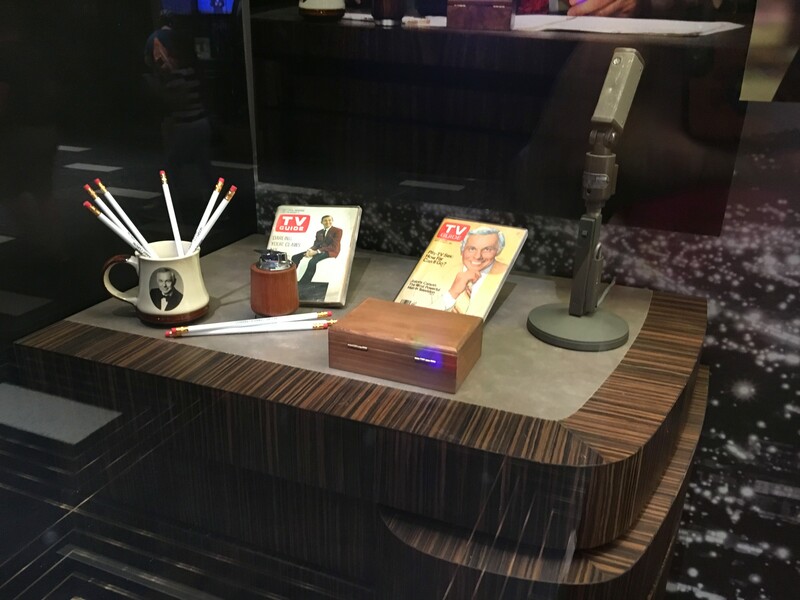 Having grown up with Johnny Carson when I was little it was really cool to see some of the artifacts on display from his reign most especially. 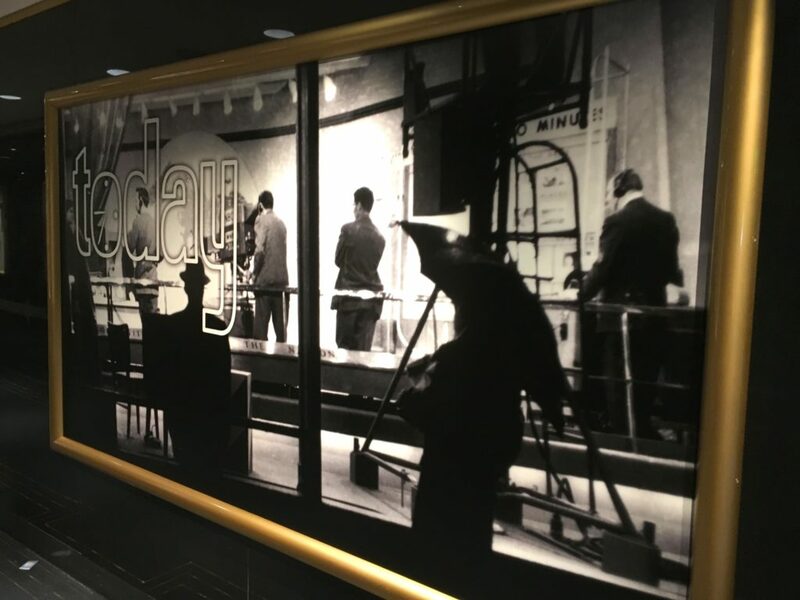 Check out the full photo report below and stay tuned for more Race Through New York news with the grand opening just a couple days away! 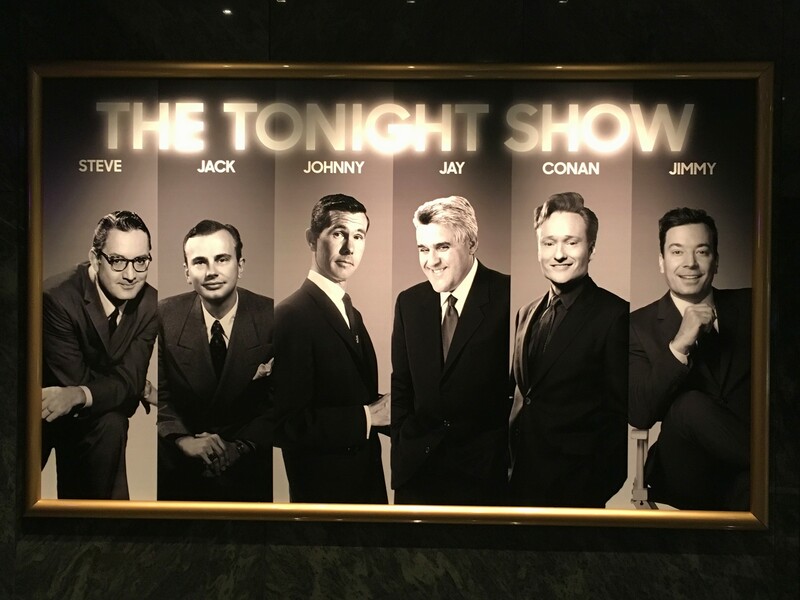 Click on any image below for a closer look. 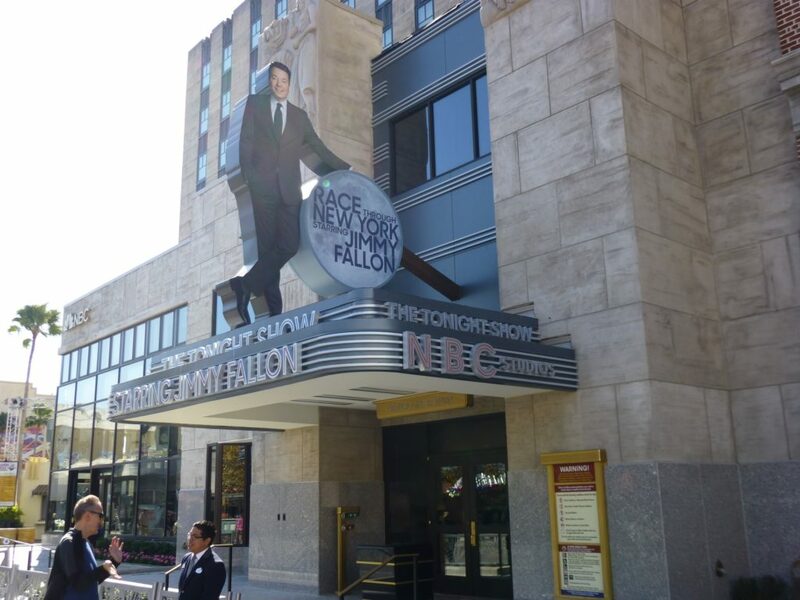 Welcome to Race Through New York Starring Jimmy Fallon! 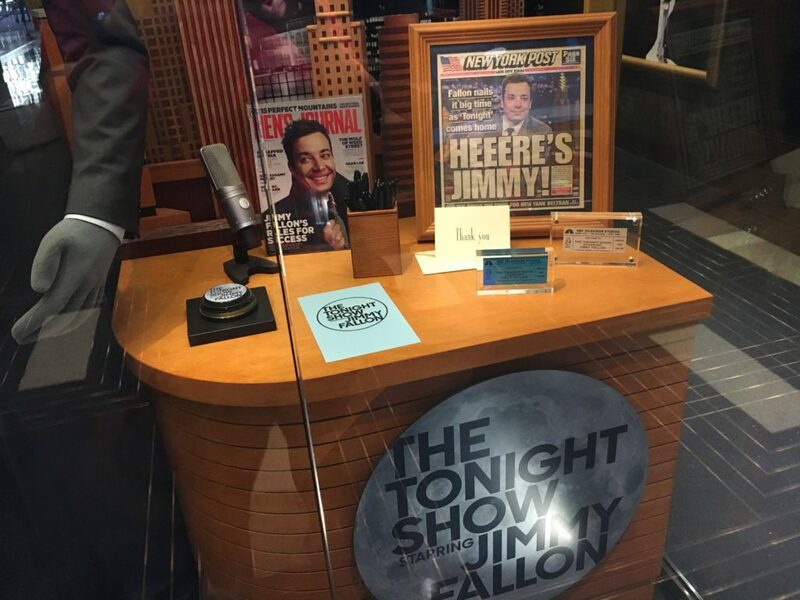 If you look closely you’ll notice The Tonight Show Cup, the prize for winning the Race Through New York! 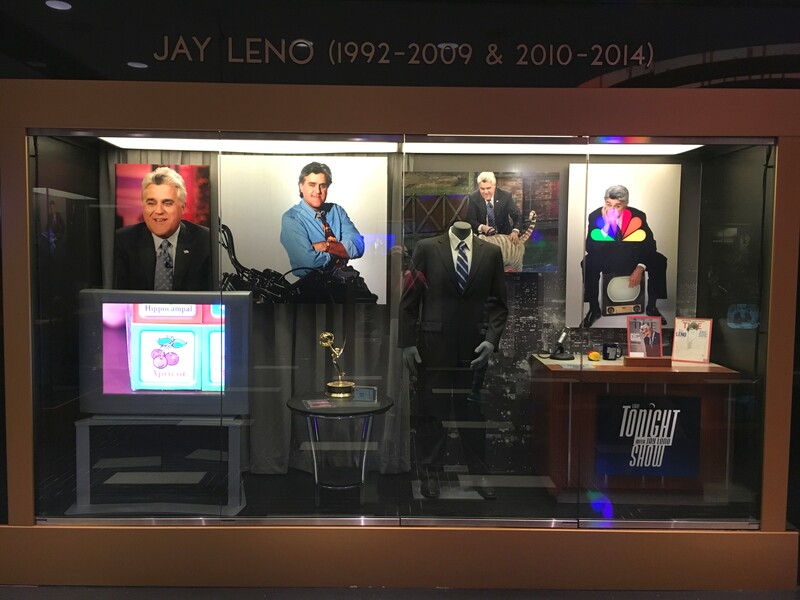 That’s all for this look at The Tonight Show museum exhibits at Race Through New York. 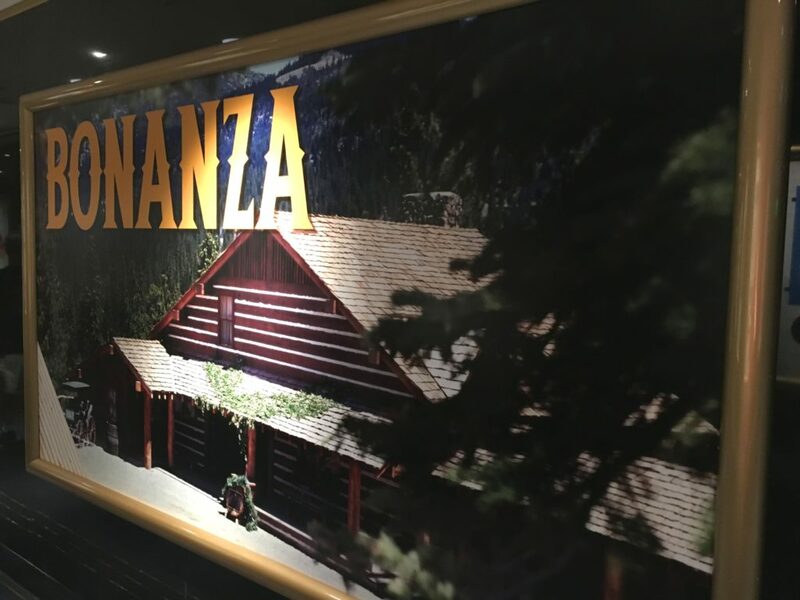 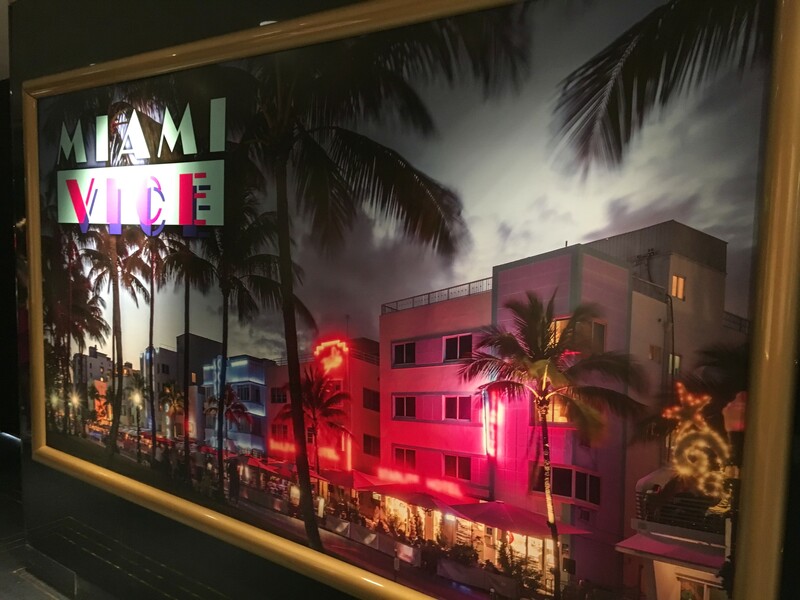 If you’d like to see what is upstairs and learn more about the ride, check out our previous coverage from the ride’s recent soft opening! 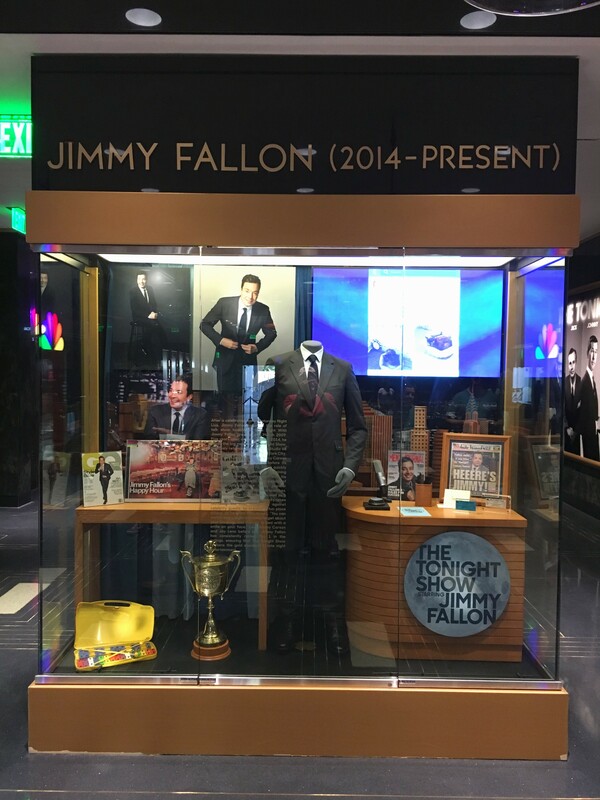 See the entire virtual queue experience from our visit during the first week of soft opens in our previous post. 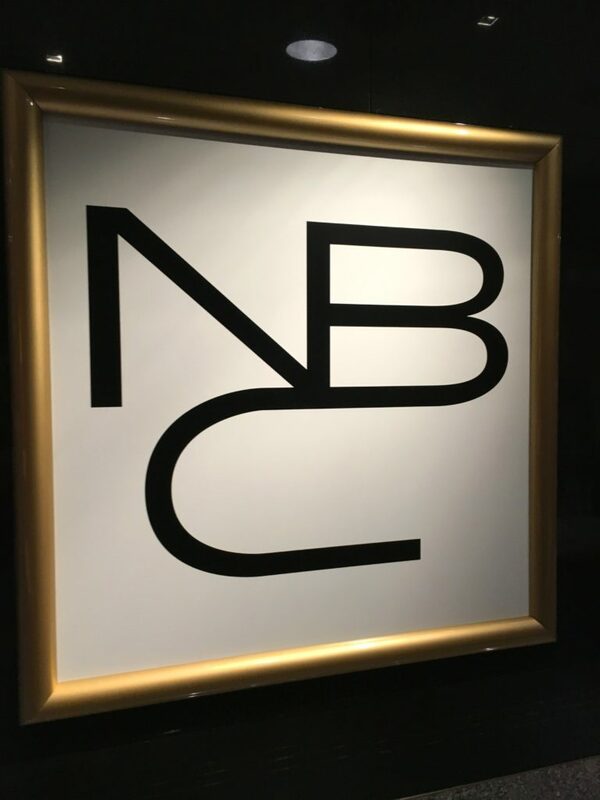 See all construction updates here. And learn all about this attraction in our guide. 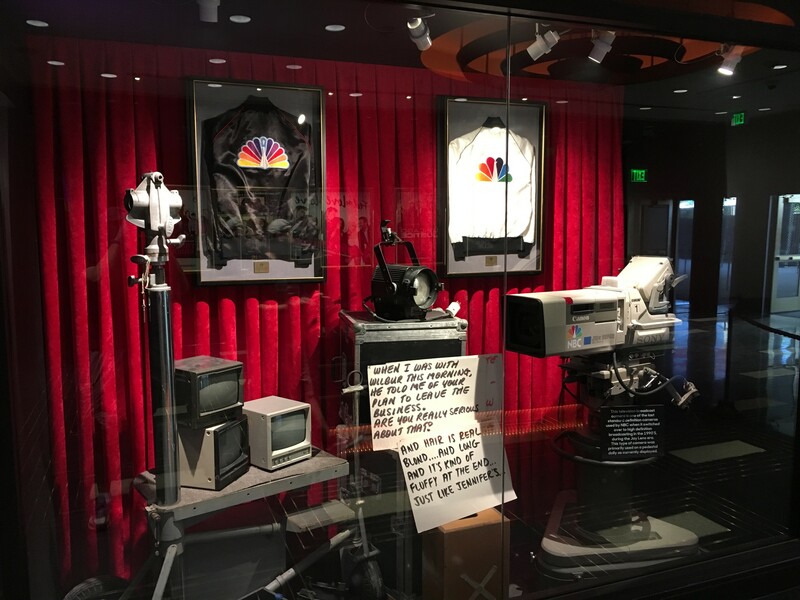 Be sure to subscribe to the feed for theme park news and subscribe to our YouTube channel for theme park videos, construction updates, and more!